Speak and Live His Love. 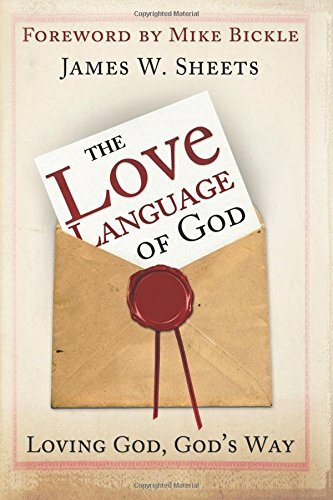 The Love Language of God is the fullest treatise on the subject of love that I have ever observed. I believe it will become a recognized resource on the subject. The Holy Spirit is changing the expression and understanding of Christianity in our generation. Like a caterpillar undergoes metamorphosis in preparation for its destiny as a butterfly, the Body of Christ is in the process of a Holy Spirit-inspired metamorphosis in preparation to enter into its God-given destiny as the Bride of Christ. Christianity is changing from being task-oriented "doing" to relationship-oriented "being"—becoming the equally yoked companion for the Son of God. A clear image of that loving relationship between Christ and His Bride, the Church, is presented in The Love Language of God for you—and all those who want a closer, more intimate relationship with the Savior. Don't let this intimate relationship with Jesus get lost in the everyday hubbub of life.